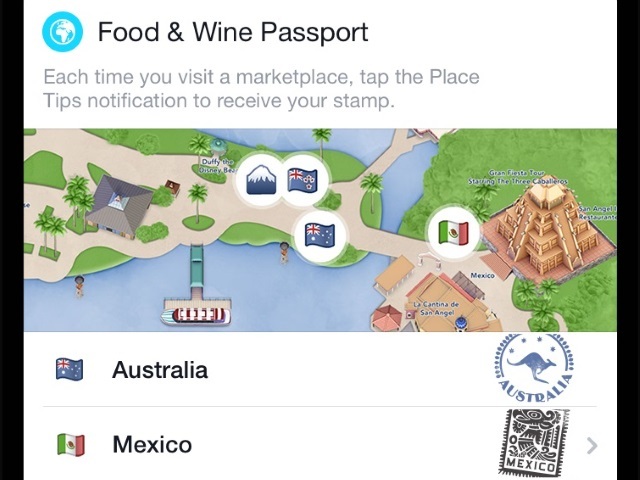 Attendees at the 20th Epcot International Food & Wine Festival can tap into Facebook’s place tips feature while roaming Epcot's World Showcase and Future World. Attendees at the 20th Epcot International Food & Wine Festival can tap into Facebook’s place tips feature while roaming Epcot’s World Showcase and Future World. Place tips debuted in January for Facebook’s iPhone application as a way to provide users with information on places of interest or popular spots in their locations, based on their friends’ activities. At the festival — which runs through Nov. 16 at Disney’s Epcot Center in Orlando, Fla. — iPhone users on Facebook can unlock special content including menus, chef recipes, festival maps and event information. Facebook reminded users that tapping on its place tips will not post to the social network nor reveal their locations. Readers: Have you seen Facebook’s place tips yet? What are your thoughts?